In honor of the too many lost, The BiCast roundtable spoke with Debi Jackson about Transgender Awareness Week and Transgender Day of Remembrance (#TDOR). Please visit http://tdor.info/ to find a #TDOR vigil or event in your area. Recently we received a wonderfully, touching and amazing note from C. who was struggling to understand her bisexuality and what it all meant. I wrote this response to her but I'm eager to hear from others in our community on what they would have said! Either of these spaces is full of folks who are interested in supporting each other so please feel free to copy and paste your entire question into a message for either group. 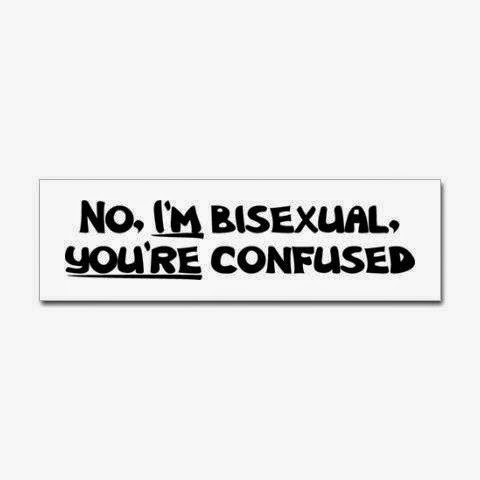 So it's normal that you'll have questions about how bisexuality works and there's not a ton of answers out there but what we do know? ​You don't have to be attracted to men, women and/or other genders all the time at the same time (if you are, that can be totally normal too and is often called polamory). We also know that bi people report high levels of disparities, or crappy things that happen through no fault of their own. Young bi women in particular are more vulnerable to sexual assault, bullying, harassment, drug/alcohol abuse, self-injury like cutting, depression, and eating disorders. BUT WAIT THERE'S MORE! 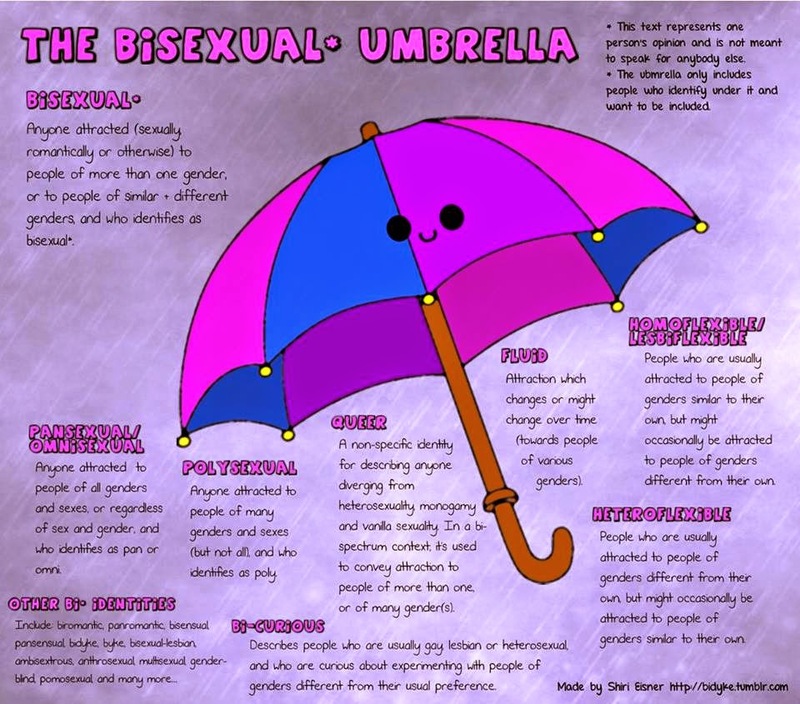 Bisexuals also report high levels of resiliency and survival, in fact all throughout history bi people have made major impacts and have been creative forces who've driven past and through their troubles to help others. I hope that may be the case for you, as it was the case for me once too. There is a lot of pressure to have everything figured out, but it's perfectly normal to not have a handle on everything related to your own sexuality! One ten year study of bi women found them changing labels from bi to lesbian to straight to lesbian to bi in some cases. In part this is because if you're dating a guy people might think you're straight, and if you're dating a girl people might think you're gay. But you were born a bit more complicated than that, perhaps. And that's actually kind of cool. So take time in figuring out what it means to you and if anyone says to you CHOOSE, you can just tell them you know that you don't have to. Its ok to keep it to yourself and also allow it to belong to you. 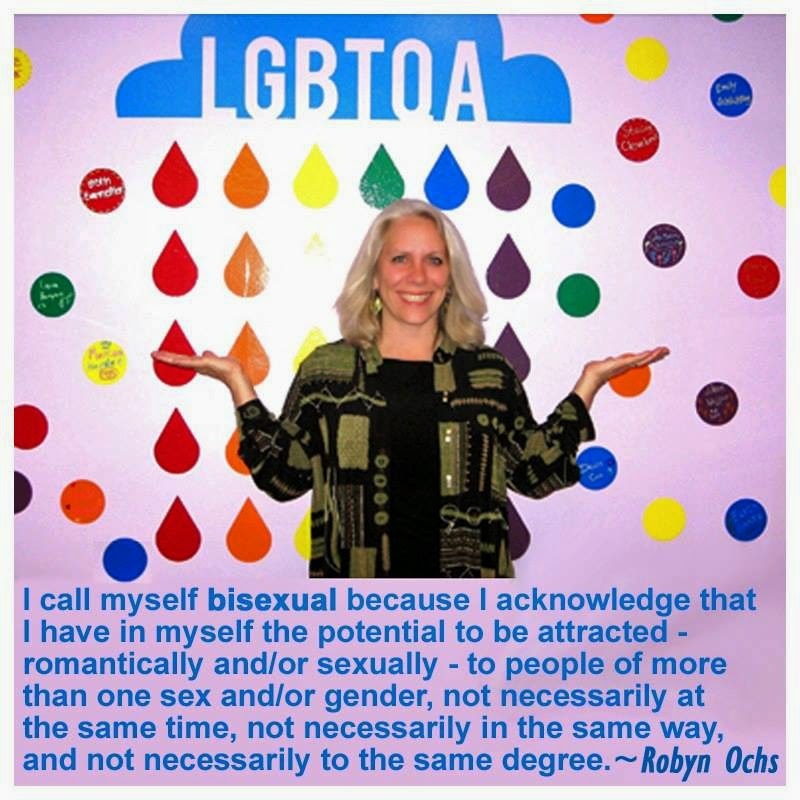 Meaning if someone wants you to exercise your bisexuality by making out with someone, you should totally feel like you DON'T have to do that just for them. Unless you wish to of course. 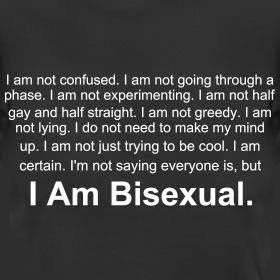 It's so important to understand that being bi is something we get born with, so how we decide to share our true selves is UP TO US! It is so very important for you to have folks you can talk to regularly about this, so please do consider joining us on Facebook. We share pics of bi flag colored kittens, Etsy crafts like bracelets and talk about movies and tv too. It helps sometimes to have a place where everyone might not know your name, but they get you and they understand what you're going through a bit better than a lot of people could...because they went through it too. Getting your parents more information might be a good idea. It may be that with more information your parents might better understand you and what you're trying to understand about yourself. Happy #spiritday! BiNet USA is proud to support and participate this year! We're thankful that GLAAD sponsors a day dedicated to standing together in support of LGBTQ youth! 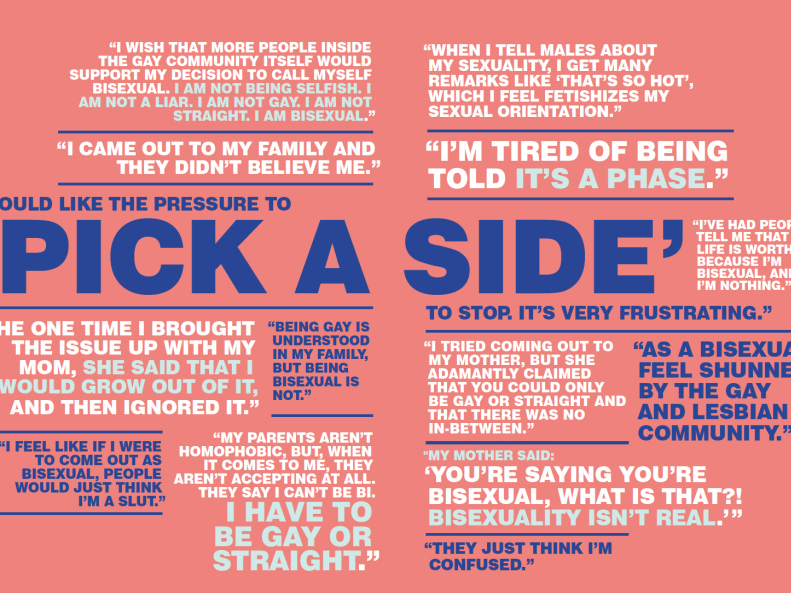 We know from the recent Human Rights Campaign report on bi youth that circumstances for bi youth are heartbreaking whether it be the high number of youth who report being bullied, the lack of support their parents provide or the lack of social and community support available to B in LGBT teens. We know that no matter what label you use, it can be hard to be accepted as a teen. BiNet USA recommends joining us on Facebook for community support today and every day! And if you're looking for information on how to support bisexual youth definitely check out HRC's report for valuable insights and tips! 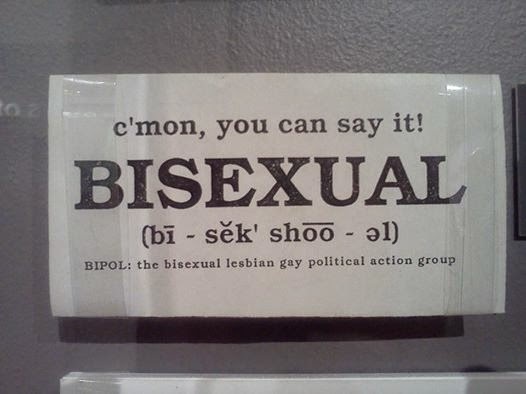 First and foremost -- HAPPY BISEXUALITY DAY! I'm honored to be writing this blog on one of the best days of the year; a day of celebration and visibility for the bisexual community. One of the ways I've tried to become more visible as a proud bisexual in recent years is through my writing, for online sites like Huffington Post and through my own novels. 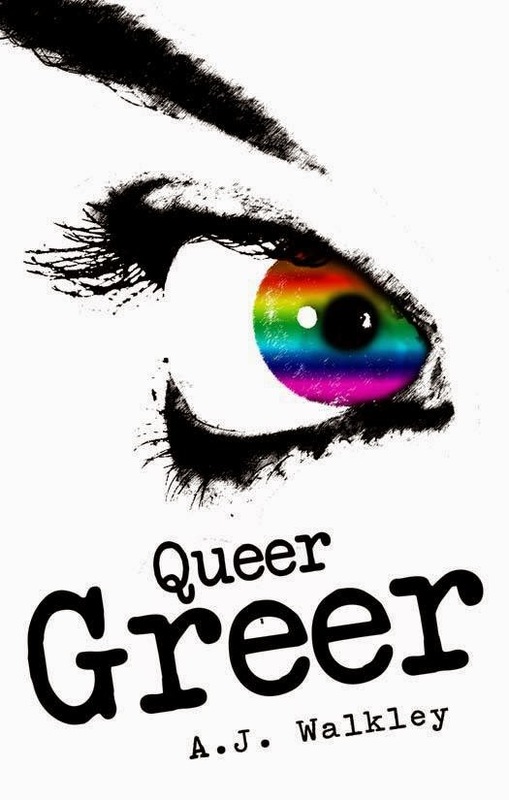 The very first book I ever wrote was Queer Greer, which I penned specifically for bisexual and questioning youth. When I was grappling with my sexuality in high school and college, I turned to books to try and find a character I could relate to, whom I might even learn from. Sadly at that time, there were no bisexual protagonists to be found. I wanted to help change that with my own book. Queer Greer would've helped me as a teen learning who I was and I wrote it in the hopes that it might help others coming out after me. My novel tells the tale of high school junior Greer MacManus, who enters a new school with the hopes of reinventing herself from a wallflower with one friend, to become more of a social butterfly. She soon finds herself among the company of athletes, a swimmer herself. While she tries to get comfortable in her clique under the admiring eye of Cameron Keeting, the most attractive male jock in school, Greer becomes increasingly interested in someone else. Rebecca Wilder, the beautiful swim team captain and infamous lesbian in town, befriends Greer, taking her under her wing. A love triangle soon overtakes Greer’s world as she comes to grips with her sexuality. Shocked by the reactions of her best friend and boyfriend, and finding herself more alone than ever before, Greer tries to cope when things start to fall apart. Without anyone to turn to, Greer must find an inner strength and the courage to be herself in a society that doesn’t always understand. Moving forward, I plan to incorporate more bisexual and overall LGBT+ characters in my books, showing readers that we come in all shapes and sizes, all colors and creeds; we are everywhere and our literature should definitely reflect that! In celebration of the 15th anniversary of Celebrate Bisexuality Day, held every September 23rd, GLAAD, BiNet USA and other bisexual organizations are launching Bisexual Awareness Week (website). Bisexual Awareness Week (#biweek) exists to help draw attention to the public policy concerns of bisexual people while also celebrating the great resiliency of bisexual culture and community. Bisexual Awareness Week will utilize a social media campaign that provides daily themes to keep changing hearts and minds about bisexual people, and bi lives. Themes will focus on the history, culture, community and current policy priorities of bisexual communities. 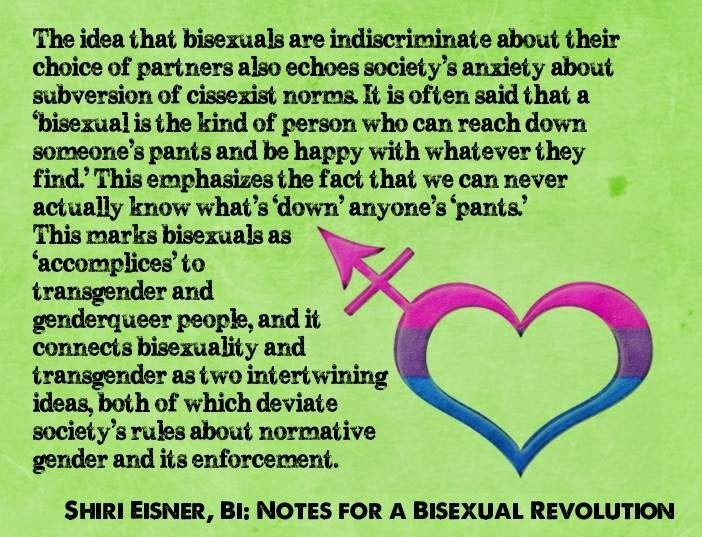 To help kick-off #BiHistory here are some bisexual history links to read and share! Read about black LGBT icon and bi pioneer ABilly S. Jones-Hennin and his work with people of color and LGBT community organizing at Metro Weekly. Learn about how Dr. David Lourea and other San Francisco bisexuals helped create and shape AIDS education and prevention outreach via this post about the Dr. David Lourea Papers Archive. 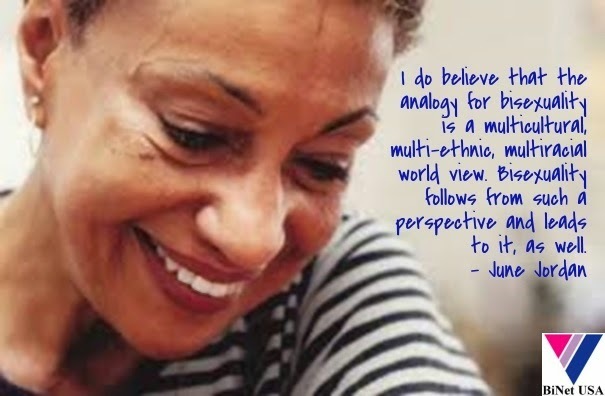 BiNet USA Prez Faith Cheltenham's SFGN Column: "Finding the 'B' in LGBT History"
Visit www.bisexualweek.com for all the latest #biweek events in your area, downloadable memes and resources! Many thanks to empathizethis.com for publishing this important piece featuring the voice of a brave black bisexual woman in the UK. Check out the full comic at empathizethis.com! 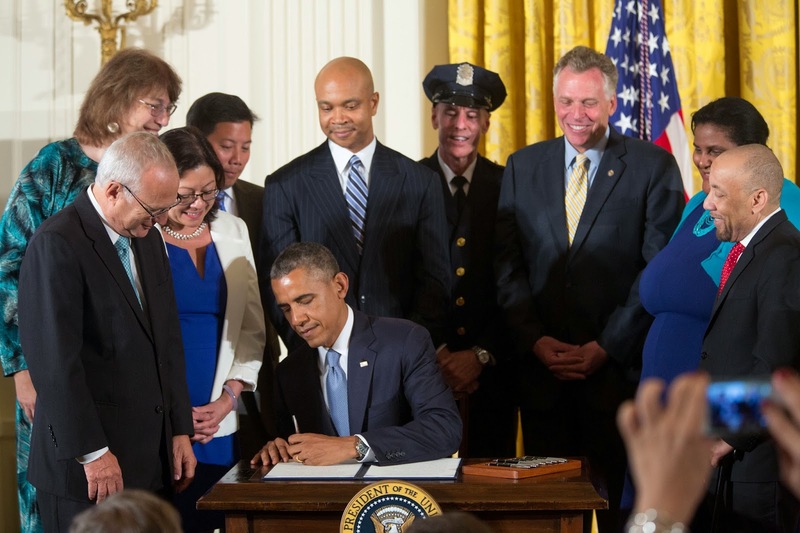 After receiving special permission from The White House, I'm pleased to share with you some exclusive photos from my trip to the White House for the Executive Order signing in July 2014. You can read more about my trip over at The Bilerico Project. 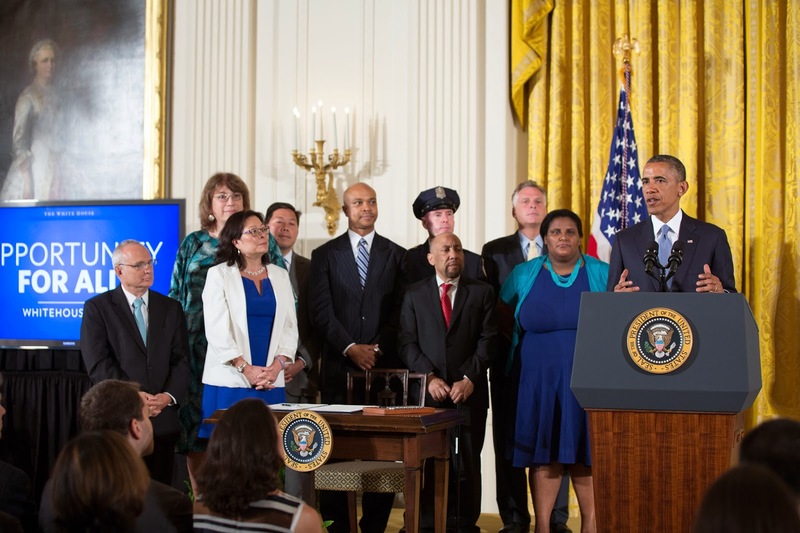 On July 21st, 2014, I was the first president of a bisexual non-profit organization to have a meeting with a President and stand on stage to witness a Executive Order signing. Click here to visit The White House website to watch the whole video of the signing. That's me standing next to black transgender icon Kylar Broadus! 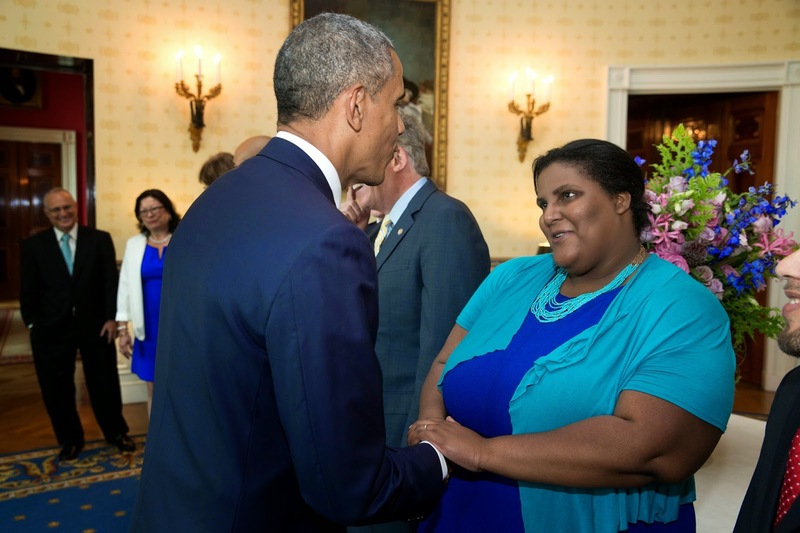 Speaking with President Obama I identified myself as the first president of a bisexual non-profit to meet with him and stand beside him on stage as he signed an Executive Order. This photograph is provided by THE WHITE HOUSE as a courtesy and may be printed by the subject(s) in the photograph for personal use only. The photograph may not be manipulated in any way and may not otherwise be reproduced, disseminated or broadcast, without the written permission of the White House Photo Office. This photograph may not be used in any commercial or political materials, advertisements, emails, products, promotions that in any way suggests approval or endorsement of the President, the First Family, or the White House. 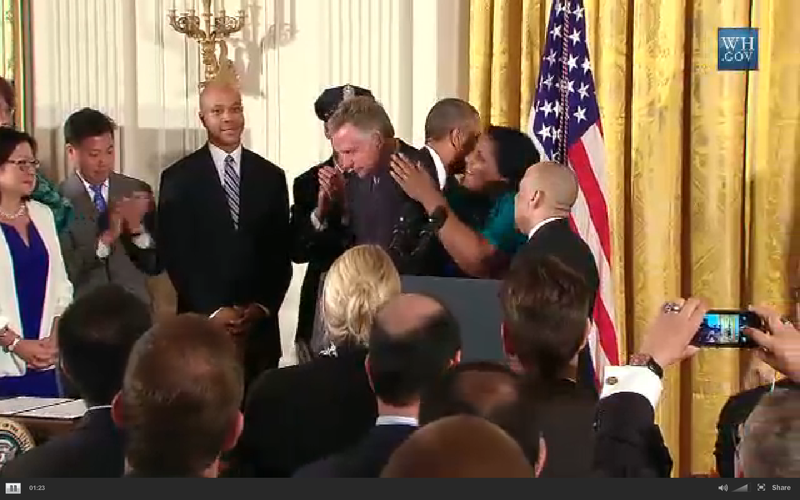 Screenshot of me hugging President Obama after he finished signing. Screenshot courtesy of Gary North. Many thanks to Gautam Raghavan, White House Office of Public Engagement for the invitation. Additional thanks to the Board of BiNet USA, The Bisexual Resource Center, The Bisexual Organizing Project, and The NY Area Bisexual Network for sharing the photos widely and cheering me on virtually. I was *really nervous* standing up there on stage! I just kept saying to myself "Don't start a freaking international incident by accidentally putting up bunny ears on the President" and "For the love of Goddess don't do anything that will become a meme!" Well I did end up in a meme after all. Just the first second thankfully. I’m starting “Dear Biphobe” as a place to write letters to people who have been accused of biphobia, and try to explain to them why bisexuals find their attitudes offensive. This is not to attack those people, it’s to explain to them how they can become better friends and allies to the bisexual community. The DearBiphobe blog is now accepting questions! In the past two months, we have been outraged and deeply saddened by the murders and brutalization of Trans women of color Tiffany Edwards, Zoraida Reyes, Mia Henderson, Kandy Hall, and Yaz’Min Shancez; the violence targeting cisgender (non-trans) women of color Renisha McBride, Ersula Ore, Stephanie Maldonado, Kathryn Johnston, and Marlene Pinnock; and the violent murders of cisgender Black men and men of color including Mike Brown, Eric Garner, and Trayvon Martin, to name only a few in a long list of hateful deaths that continues to grow. We are also deeply upset by the recent attack, and subsequent viral YouTube video, of a Black Trans Woman at the Franklin Avenue subway platform while countless people, including an MTA employee, refused to intervene and stop the violence. What makes this even more infuriating is the fact that we know that we cannot even begin to name or know all of the people who have been victims to police, hate, racist and anti-black violence. We send our love and support to all of the communities who are surviving and healing through these racist, transphobic and sexist attacks, and we are with you in spirit as we continue the struggle for justice. In light of all of these recent occurrences we especially want to acknowledge and commemorate the one year anniversary of the death of Islan Nettles, who was brutally beaten by community members across the street from a police precinct in Harlem, on August 17, 2013. We recognize that in the wake of all this violence it is a critical moment to move beyond political/racial/gender borders and consider how to build collective safety for all of our communities. As the Audre Lorde Project, an organizing center for Lesbian, Gay, Bisexual, Two Spirit, Trans and Gender Non-Conforming (LGBTSTGNC) People of Color (POC) we believe all bodies are valuable and that no one is expendable. We believe that in order to build safety we must transform the root causes and conditions that contribute to and justify the senseless police violence, hate violence, racist, anti-immigrant and anti-black violence that persists against our communities. We are outraged that the accountability and justice that our communities deserve for these, and countless other instances of hate and police violence, have been consistently and without fail denied to our communities. We also want to name that the majority of the people who experience this hate and police violence are predominantly Black and Latin@ which is directly connected to heightened anti-Black and anti-Immigrant violence targeting our communities. Hate violence and police violence are deeply rooted in a historical legacy of systemic racism, population control, homophobia, xenophobia (fear of all people of color and indigenous communities, particularly immigrants), and transphobia. 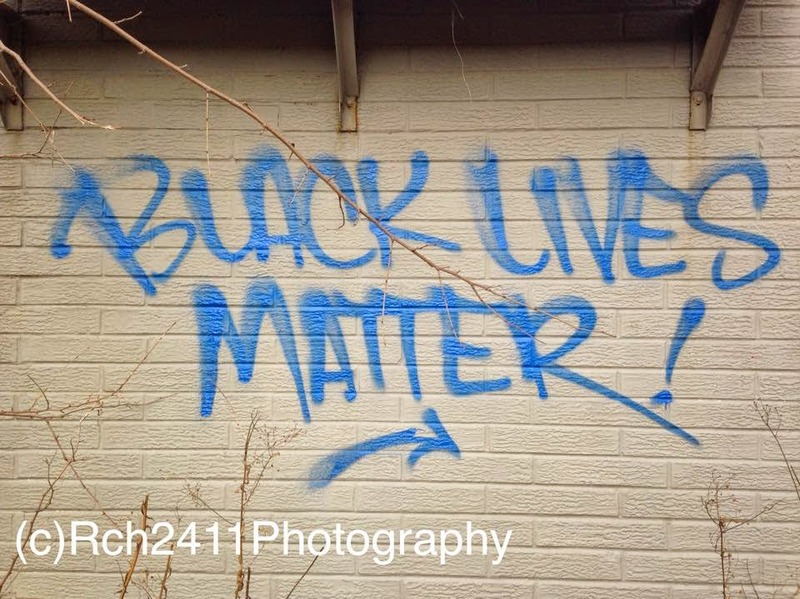 We believe police violence and hate violence are an extension of all systems of exploitation and slavery that have been used to criminalize our communities and police our right to gender/self determination, agency, and survival. As an organizing center for LGBTSTGNC POC in New York City, and in our greater movements for racial and economic freedom, we feel it is our responsibility and duty to make the connections between the murders of Black and Latin@ Trans women, the arrests and violations against LGBTQ youth of color, and the violent sexual and physical attacks against Trans men and women of color are an extension of the same conditions and systemic oppression. These violent attacks lead to the brutalizing violence of (Non-Trans) men and women of color, and the detentions and deportations of immigrants of color. These systems were created and built under the false pretense of ‘protect and serve’ but instead are used to control and target our livelihood based on our race, physical ability, ethnicity, sexuality, gender identity, economic status and citizenship. The solutions to these acts of violence cannot be found within the very systems that are brutalizing and murdering our people. As Lesbian, Gay, Bisexual, Two Spirit, Trans, and Gender Non Conforming People of color, we are very aware that these systems were built to tear us down. We are committed to and continue to heal, lift up, and organize against all forms of hate, communal and police violence, and genocide. We know that we have the power, the resilience, and the strength to transform this culture of violence which regards our communities expendable, invisible, and dangerous. In the words of Audre Lorde, ‘We were never meant to survive.’ Our survival, our continued resilience, our continued efforts for social justice are direct threats and challenges to systemic oppressions. We must, at all costs, do whatever we can to lift up and protect one another in our interconnected struggles for liberation. Please Join us on Saturday, August 23rd from 11:00am until 3:00pm in the LGBTQ Contingent for the 'We Will Not go Back March and Rally', which is being organized by the National Action Network and Eric Garner's family. For more information, please check out the facebook page and the website below or contact Lee at FIERCE Lee@fiercenyc.org. Also, join us for the 4th Annual Bed-Stuy Pride! 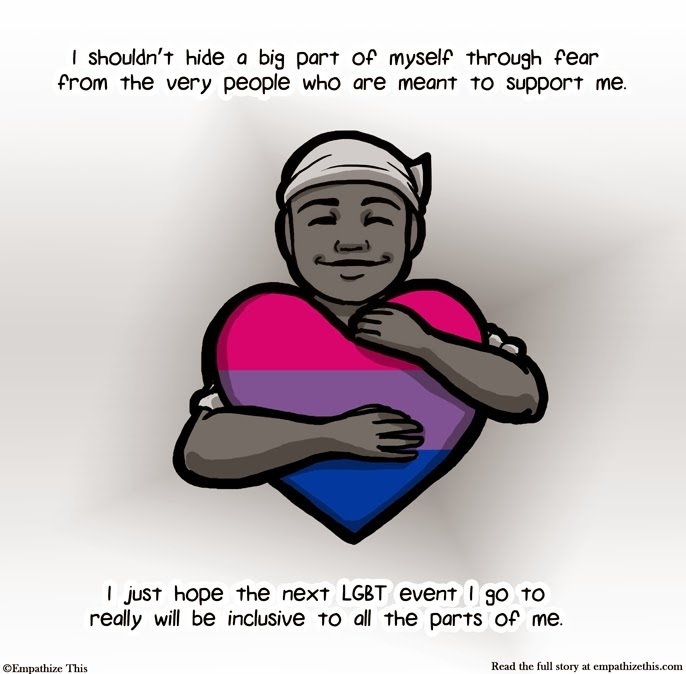 September 23rd, 2014 is Bi Visibility Day, but we will be celebrating all week long! We're working on ways the whole community can be visible with us. We're looking for some good memes, photos, and images that we can use during the week of celebration.